Nonprofit leaders are searching for new funding sources and entrepreneurs want to attract new customers. Cause Marketing is the tool that can help them both. The nonprofit gains access to the PR resources and the customers of the small business while the small business gets access to the ever-expanding base of consumers who prefer to do business with socially responsible corporations. "Cause Marketing is about forming a practical partnership between business and nonprofit sectors," says Geri Stengel, founder of Ventureneer.com. "It isn't about begging for donations or giving without getting. It's about mutual gain." 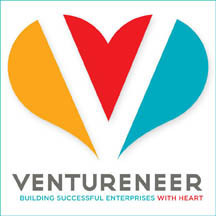 Stengel will be teaching the free Ventureneer webinar Cause Marketing Basics from 12n to 1pm ET on Wednesday, June 24, 2010. Cause Marketing is not confined to big corporations with large marketing budgets. Small business owners can get and give value as well. This webinar will help nonprofit leaders decide if Cause Marketing with either a large corporation or a small, local business is right for their organizations. "Cause Marketing can be very successful," Stengel says, "but finding the right partner and putting together the right package is critical to that success." How to insure that both the nonprofit and the small business owner are satisfied at the end of the program. Nonprofit leaders, board members, nonprofit executive directors, chief financial officers, fundraisers as well as small business owners who want to put together a socially responsible marketing program will benefit from this webinar.